History Troop 29 - Wilmington DE. 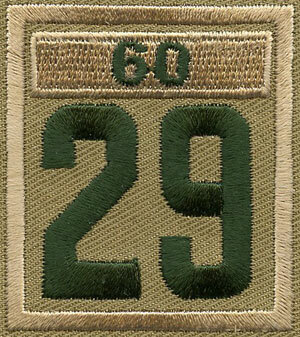 Few troops survive longer than 25 years and get to wear a special year "bar" above the troop number on their uniform. Troop 29 is honored to wear a 65 year bar signifying 65 years of continuous existence. As a point of fact if it hadn't been for two breaks in Troop 29's history, one in 1920, and one in 1946, we might even be able to claim a longer heritage since the troop was originally founded in 1919! This isn't to suggest that the last 65 years have all been smooth sailing. Like any troop we have had good years and lean years as interest and leadership ebbed and flowed. In fact our troop emblem - the Phoenix - is a result of some lean years. Several years ago Troop 29 was down to only 4 scouts; not enough to charter for another year. Another local troop saw a fellow troop sliding toward oblivion and a group of those scouts decided to transfer into Troop 29. Thus Troop 29 "arose from the ashes" like the Phoenix of old. 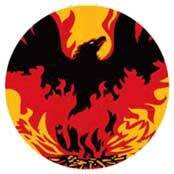 The boys liked the Phoenix story and thought it fitting, so they adopted the Phoenix as their Troop emblem. With hard work the PLC has nurtured the 'baby phoenix' they saw rise from the ashes and have made Troop 29 one of the largest and strongest units in the Powder Mill District. "Once an Eagle always an Eagle" The title of Eagle Scout is held for life. There are no ex-Eagles; you either are - or you aren't. Being an Eagle is as much the state of mind that comes with adopting the Scout Oath and Law as a part of you as it is earning the merit badges or doing the project. The honor of becoming an Eagle Scout has always carried with it a special significance, not only in Scouting but also within higher education, business or industry, and within the community. The award is a performance-based achievement whose standards have been well-maintained over the years. Eagle Scouts represent dedication, perseverance, and Scouting at its very best. In 2018, the 108th anniversary of Eagle Scouts, 52,160 Scouts earned the rank. The average number of project hours per Eagle Scout last year was 153.1 hours. In 2018, the average age of boys earning the Eagle Scout rank was 17.32 years old. From 1912 to 2018 - more than 2.49 million Boy Scouts earned the Eagle Scout rank. Troop 29 honors those Eagle Scouts that have been a part of this unit by preserving their names for future scouts within the Troop to look toward as a model and a goal to aspire toward. We do NOT forget our Eagles. The spirit of the Eagle joined with the Phoenix lives within each of these men. 1928 - 1929 William Davidson, Jr.
Millcreek & McKennans Church Road - Marshalton, DE. Vandever Avenue & Church Street - Wilmington, DE. Millcreek & McKennans Church Road - Wilmington, DE. Powder Mill District 2010 Curr.